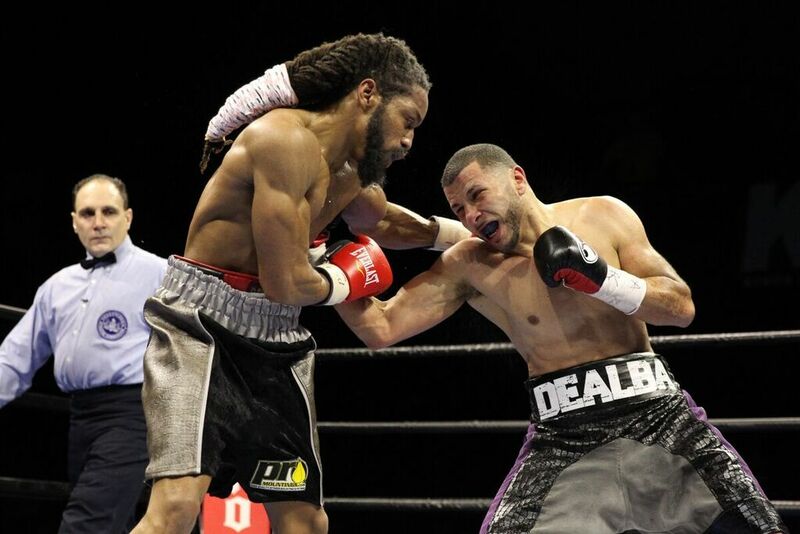 Junior Lightweight contender Frank De Alba returns to the ring when he takes on O’Shaquie Foster in the eight-round main event on Friday night, April 13 at The Sands Bethlehem Event Center. The show is promoted by King’s Promotions. De Alba of Reading, PA has a record 22-2-2 with nine knockouts. The 30 year-old De Alba has a six-year professional who has wins over Andrew Bentley (1-0), Jose Bustos (8-2-3), Bernardo Gomez Uribe (16-3), Kiun Evans (12-2-1), De Alba has had some tough luck as he has had several fights fall through for different reasons. This will be his 1st bout in just over a year as in his last bout where he won a eight-round unanimous decision over Ryan Kielczewski (26-2) on April 4th at The Sands Bethlehem Event Center. De Alba has won five straight. Foster, 24 years-old of Houston, Texas has a record of 12-2 with eight knockouts. A highly decorated amateur standout, Foster advanced to the 2012 U.S. Olympic Trials where he lost to unbeaten contender, Joseph “Jo-Jo” Diaz. Before that, Foster was a 2010 PAL National Champion, a five-time Ringside National Champion and two-time National Junior Golden Gloves Champion. Foster is a six-year professional who won his first eight bouts. Foster has wins over three undefeated fighters including Devin Parker, Lavisis Williams, and his last bout when he defeated Kaylen Alfred on January 20th in Houston. In the eight-round cruiserweight co-feature, Luther Smith will take on Elvin Sanchez. Smith, 39 of Bowie, Maryland has a record of 9-2 with eight-knockouts. Smith is a three-year professional, who has stoppage wins over two undefeated foes Mike Marshall and Darnell Pierce. Smith is coming off a 4-round split decision loss to perennial spoiler Lamont Capers on November 30, 2017 in Oxon Hill, Maryland. Sanchez of Paterson, New Jersey has a record of 8-3-1 with six knockouts. The 37 year-old is a 10 year professional who has knockout wins over undefeated Venroy July (13-0-2) and in his last bout when he stopped Khalib Whitmore (6-1) on August 11, 2017 in Philadelphia.